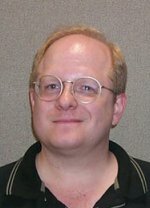 It’s been a tumultuous year and a half for Mark Waid. After penning some of the most highly regarded superhero books in the past decade, including two excellent runs on Captain America, Kingdom Come with Alex Ross, and taking over for Grant Morrison on JLA, Waid was at the top of his game. With a group of other writers and artists, he co-founded Gorilla Comics, where he started the unique series Empire. It was only natural that CrossGen Comics would try to interest him in moving to Tampa, Florida and trying something new. The timing was right, as the company gave him permission to continue working on Empire. Unfortunately for that book, Gorilla ran into some financial difficulties (as did a lot of companies), leaving Waid completely free. For CrossGen, his hands were everywhere, writing a few stories in CrossGen Chronicles, taking over Sigil, and launching the Atlantean team fantasy book Crux. 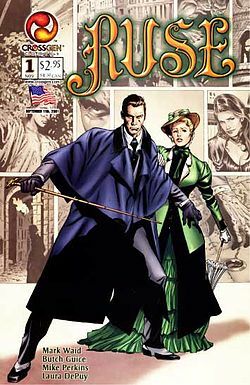 Last Autumn Waid gambled on a Victorian Era detective book (with a hint of the CrossGen mystique), teaming with Butch Guice to create Ruse. Fans responded wildly. Things didn’t seem to work out quite as CrossGen and Waid had planned. Shortly after launching Ruse, the writer cut back his involvement on the other books, handing the reins over to Chuck Dixon. 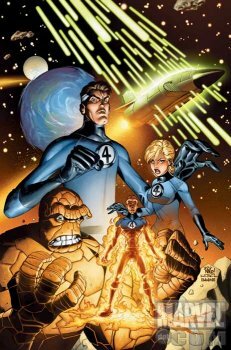 Rumors swirled that Marvel had tempted Waid with Fantastic Four. Soon enough, those rumors were confirmed. And then last week, Waid and CrossGen parted ways completely. (Never say for good, but a return doesn’t seem likely in the near future.) Waid stepped down from writing Ruse, surprising and disappointing a lot of fans, even those who like the work of his replacement on the title, Scott Beatty. Waid took some time out this week to talk to Fanboy Planet about his departure, Fantastic Four, and what the future holds. Derek McCaw: Out of everything you did at CrossGen, Ruse seemed to be the most “your” book. How did your work on it lead to “creative differences?” Without spoiling what will now actually happen on the book, where did you want it to go? MW: I can’t say–but I don’t like the phrase “creative differences,” because it didn’t apply here. All I can say is what was said in the press release: I enjoyed working on the book and from early on liked to bat ideas around with the rest of the team, incorporating those ideas that worked and politely letting pass those that didn’t. Eventually, the rest of the team or some part thereof decided to take more control over the plotting of the book, and rather than let that create friction, I regretfully handed over the reins. I wish them luck and have nothing even remotely disparaging to say. DM: Your tenure at CrossGen never seemed to go as smoothly as the initial excitement seemed to promise. Both you and George Perez broke the company’s initial policy that once you were at CrossGen, you were there exclusively. Do you think your time had an effect on the way they run things, and would you say that as a good or bad thing? MW: Only time will tell. To be fair, neither George nor I “broke” anything–in order to secure our services, offers were made. I don’t know about George, but I for one never once asked CrossGen to do anything out of the ordinary for me–anything at all. DM: Your signing by CrossGen appeared to cut short a critically and popularly successful run on JLA. Is there anything you feel you left undone on that book, and would you want to go back? MW: As my friends are so fond of saying when they want me to entertain thoughts of suicide, had I just written ahead two or three more months, I never would have had to leave JLA. D’oh. DM: Let’s talk about what’s next: Fantastic Four. In last month’s Wizard, you mention that the FF were way down on your list of characters you wanted to write. What changed your mind? MW: First, the challenge of making anyone under the age of forty like Reed Richards. Then, as I thought about the rest of the characters, they began to excite me more and more. And when I found that my old Flash partner Mike Wieringo was in the mix, the decision became a no-brainer. DM: What do you think you’ll bring to the Fantastic Four that hasn’t been there before? MW: Wow–no way to answer that and not look like I’m slamming previous creative teams, all of which brought something special to the book, so let me just say this: what we can bring is fun and vitality, spontaneity and unpredictability. DM: A 9 cent debut issue is a bargain no matter how you slice it, but why else should the fanboys be excited? MW: Because it looks phenomenal. DM: You’ve promised a brand-new Doom. 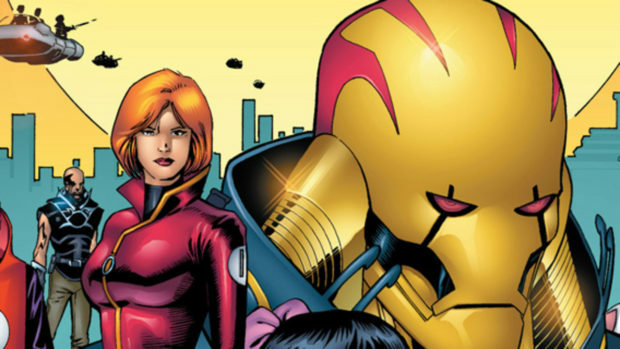 Any other old FF villains that you’ll make us see in a whole new way? MW: Nope–at least, not as currently planned. Oh, I’m sure we’ll go back to that well eventually, but for now, I’d rather stay with the new. DM: Of course, this leaves you down to one (publicly) announced book. Rumors have already begun circulating that you might be doing a Superman book for DC. Any truth to that? MW: I wasn’t asked to take over one of the monthlies. But I’m looking forward to Steve Seagle’s take on the character. DM: What else is on the plate for you? MW: Sleep. Not writing a book a week like I have been for the past ten years. Lots of travel. DM: Do you have any dream characters left that you want to work on? MW: Sure. Someday, DC’s Captain Marvel. Someday. DM: Jeph Loeb is working on the Smallville TV show, Geoff Johns is helping develop a Bloodstone pilot – do you have any interest in branching out to other media? MW: Sure. I’ve had plenty of offers–it’s finding the time that’s the problem. But I’m working on it. DM: Any last words of wisdom or commercial plugs you’d like to get in? MW: Yeah. Barry Kitson is working on EMPIRE #3 even as we speak. Look for the relaunch ASAP from DC.